Whatever wind and weather may bring – model Auckland exterior doors manufactured of aluminium can take the heat. Thanks to high quality materials and the best possible processing the Auckland models are extremely solid and accordingly safe and secure. 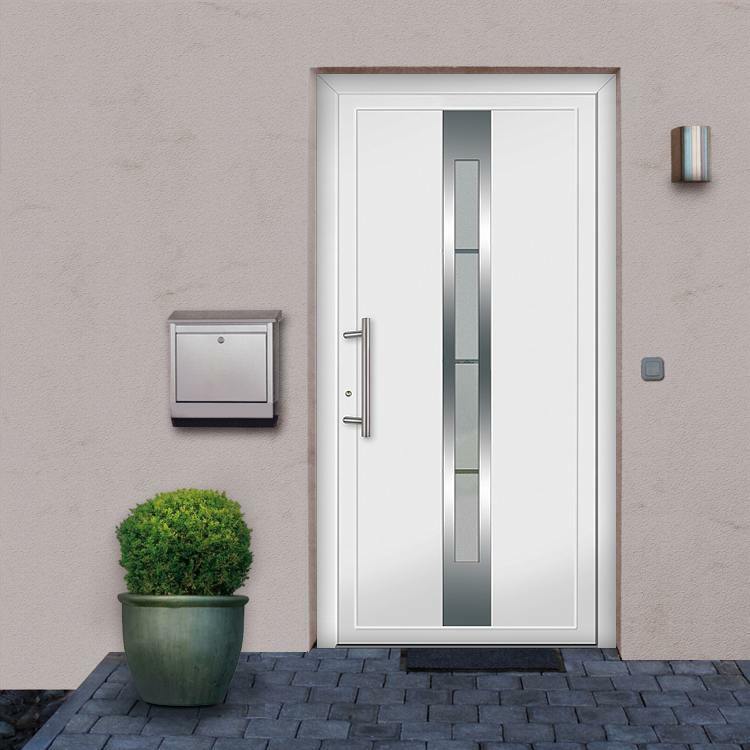 This means that aluminium exterior doors can also resist other forms of force and keep unwanted visitors out. This feature of the exterior door should not be ignored. After all, the latest police statistics for the previous years reveal a further increase in break-in attempts – also via doors. Their prices were far lower than the competition. My order was delivered on time and exceeded my expectations! Unlike timber or PVC, aluminium has a rather cool character. 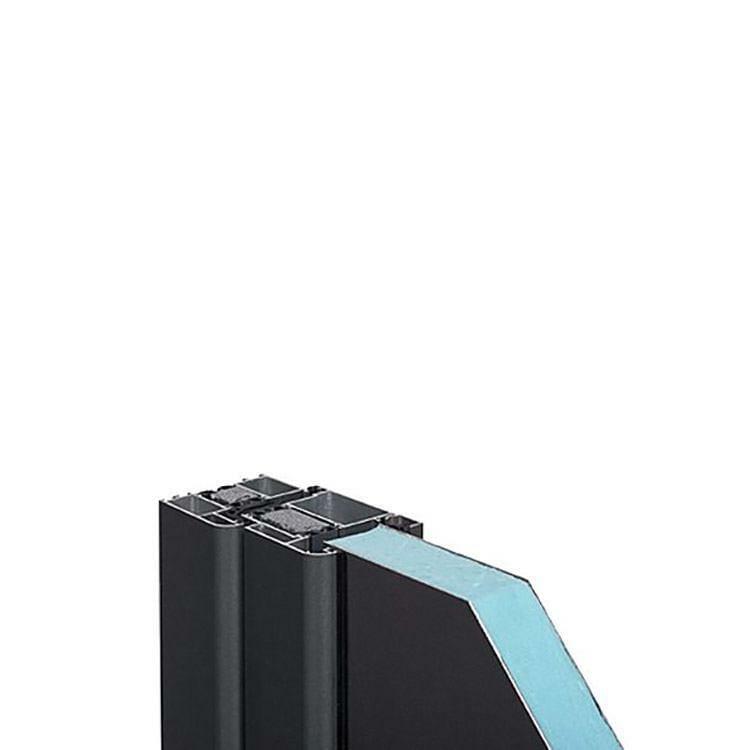 This causes the exterior door to have an elegant and very linear form. The doors of the Auckland range of models combine these attributes together with a corrrespondingly clear design. 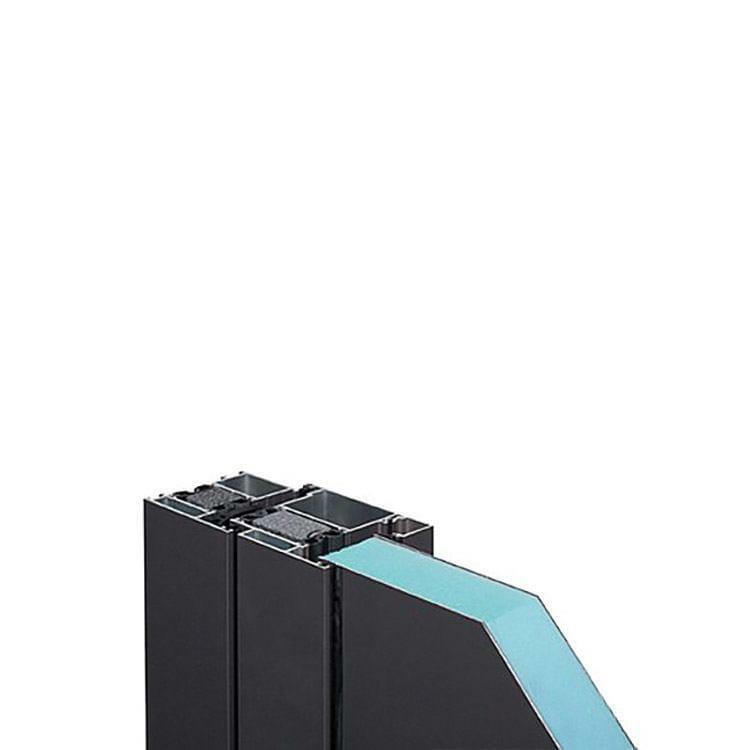 The thinly processed, centrally placed window accentuates this and allows the entrance area fitted of aluminium to present a particularly stylish look. After all, the exterior door is the feature which best represents the personal taste of the owners. 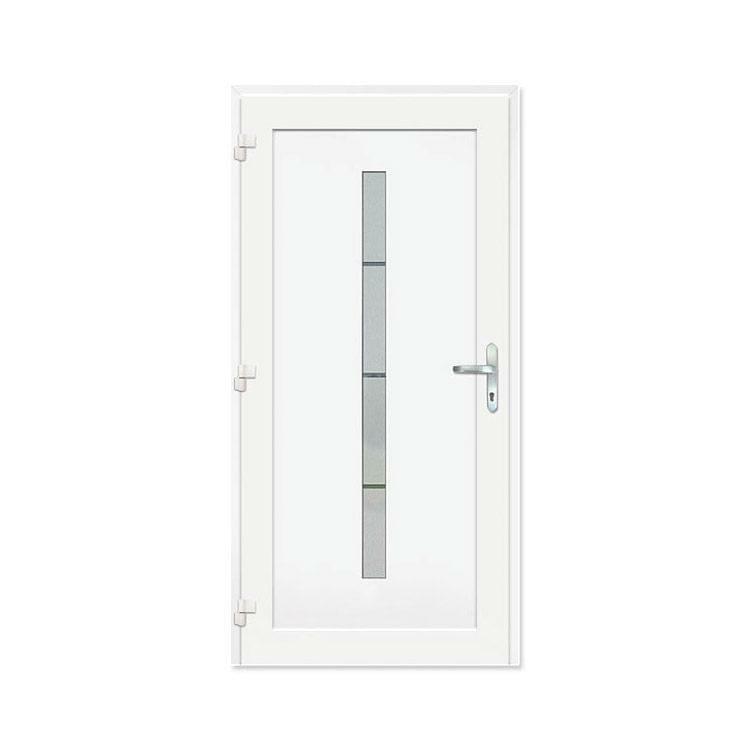 For this reason even smaller, at first glance, unimportant details can weigh heavily – items such as door handles, which can be added to your model Auckland door. As with all extras, you will find at Windows24.com that we offer a wide range of useful product information. This is also true when it comes to topics such as awnings or shutters, of which we have a good selection. And where some useful know-how or a helping hand is needed this is available by calling our free hotline service (0049 711 860 600). 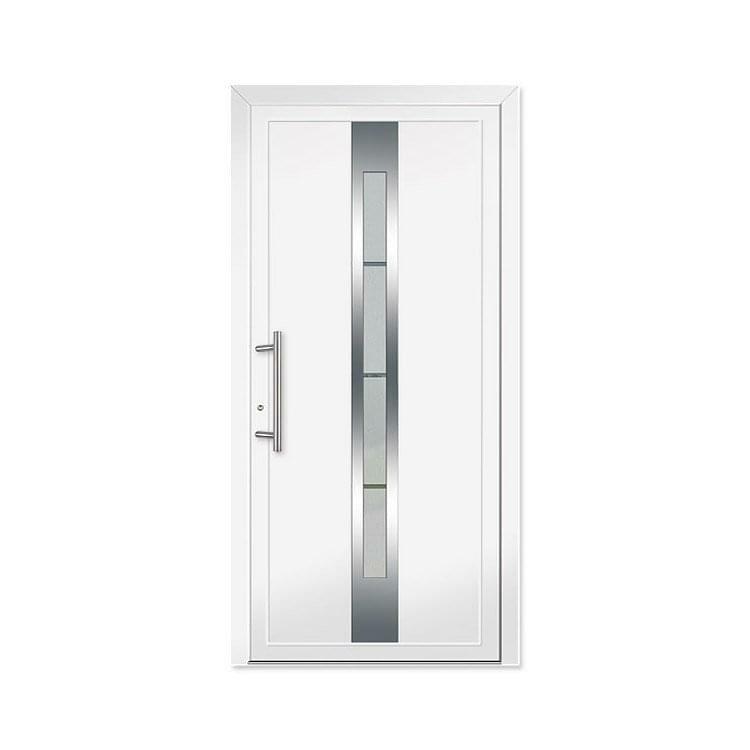 Entrance door Model Auckland has a high quality, modern appearance with external grooving and frosted glass with clear lines.